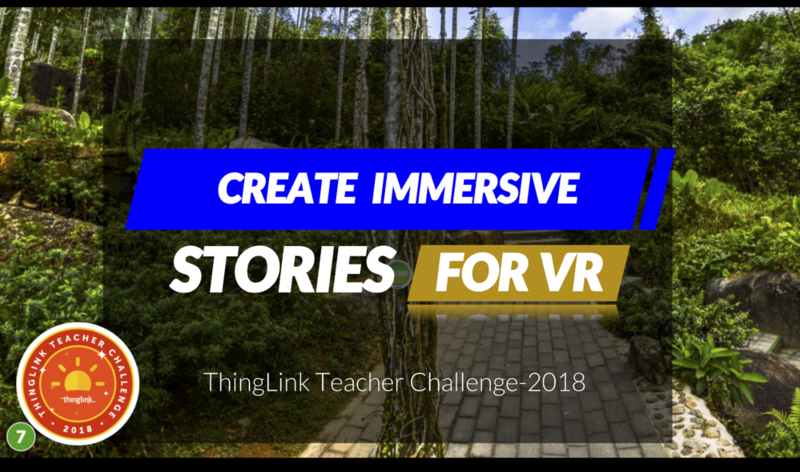 We are keeping our first activity simple by introducing ThingLink's 360 editing tool to create an immersive story for viewing in a VR headset. 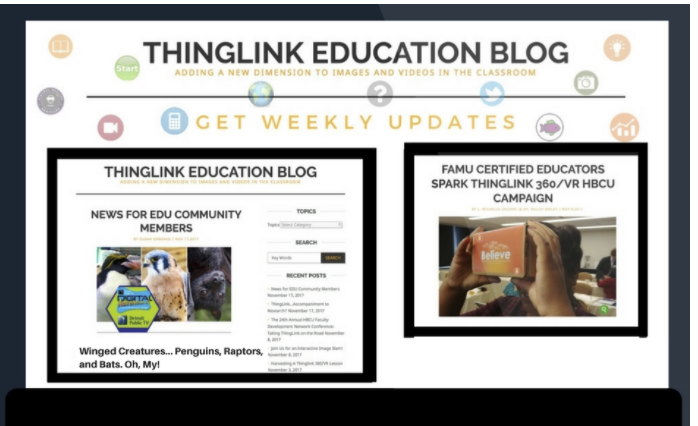 We believe it is best to begin your journey through the ThingLink Teacher Challenge by starting simple and building on the skills and knowledge you gain each week to encourage growth and development. 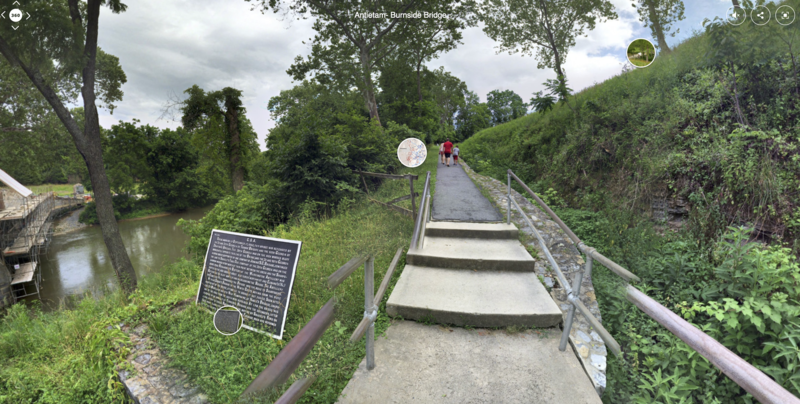 One of the simplest ways to use ThingLink is to create an immersive story on top of a 360 image for viewing in a VR headset. To keep it simple, we will start with an image from our 360 library of professional images. 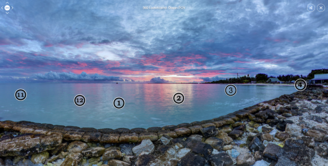 While there are many possibilities for creating a variety of wide variety of multimedia tags on top of a 360 image, it is important to understand the basic building blocks of immersive stories designed for VR viewing experience. labels: or "hover" text used to help explorers navigate through your immersive story. This example was created specifically for the ThingLink Teacher Challenge, 2018. It combines a 360 image from our library with audio, images and text. Explore this immersive story Saving the Black Crested Gibbon from Extinction in China's Rainforest. We kept it simple by using numbered icons here. Be sure to click the button in the upper right corner of the screen to view in full screen mode. Every ThingLink starts with an image and to start simple, we will bring you to our 360 image library to find a professional photo for this activity. Browse through the images in the library and think about the type of story you want to tell. After you select an image, you will learn to Clone it to make a copy for your own use. The most important part of the design process for immersive story building is in the planning. Use a story map or script to efficiently guide the work to save yourself a lot of time and energy. View sample script. Once you have a plan with a guiding document, you can create the tags and fill your story with audio, images, and a bit of text to create create an immersive story for VR. If you have access to an inexpensive VR headset you can open your ThingLink on your phone to explore it through a Headset. 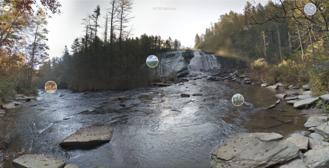 Viewing an interactive ThingLink 360 in a VR headset is a different experience than exploring a ThingLink 360 on a Chromebook, iPad, or laptop because of the way the device is used. A ThingLink 360 designed for VR is viewed in a headset that sits at the explorer's eye level, changing the ability to fully manipulate the controls. For VR, the headset is used to navigate around the360 image, point to a tag to open it, and uncover the story through the media on the tag. For this reason, the types of media on tags is limited to features that support the best immersive viewing experience. Be sure to use the chart to learn what types of tags to include for VR. And if you are disappointed about not being able to integrate your favorite 3rd party tools in this first activity, don't worry. We can clone this activity and add to it to build a version for 360 exploration. We will get there in the next activity. Follow the steps on this task card to complete the activity. Click the icons to find resources to support your learning. We invite you to connect and collaborate with educators participating in this PD about designing an immersive story for viewing in VR. Tap to contribute.